Antonella Fresa, Technical Coordinator of PREFORMA, attended the second concertation meeting for on-going PCP projects in DG Connect, organised by the European Commission in Brussels on the 5th of March 2015. The event was organised as an opportunity to network and share experiences on common issues that these projects face while implementing PCPs, in particular focusing on practical issues that concern the actual execution of a PCP. Download here all presentations (+ a presentation by Mr. Pierre Marro on access to risk finance), the minutes and the final agenda of this meeting. 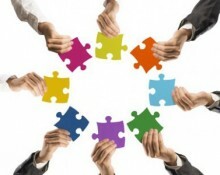 PREFORMA has been invited to the third concertation meeting for all on-going PCP projects in DG Connect, organised by the European Commission in Brussels on 10 March 2015. During this event the EC wants to give the opportunity to the attendees to network and share experiences on common issues that they face while implementing PCPs. 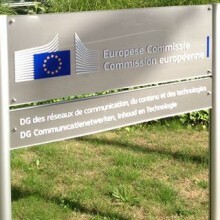 The third concertation meeting for on-going PCP projects in DG Connect, organised by the European Commission in Brussels on 10 March 2015, gave the opportunity to the attendees to network and share experiences on common issues that they face while implementing PCPs. PREFORMA participated in the workshop dedicated to the FP7 ongoing projects.